Mini Jazz World: Articles » "American Jazz Museum"
Articles » "American Jazz Museum"
Located in the Historic 18th & Vine Jazz District in Kansas City, MO, the American Jazz Museum showcases the sights and sounds of jazz through interactive exhibits and films, the Changing Gallery exhibit space, Horace M. Peterson III Visitors Center, Blue Room jazz club and Gem Theater. Since its inception in 1997, the Museum has hosted thousands of students, scholars, musicians fans for over 200 performances, education programs, special exhibitions, community events and more each year, providing an opportunity to learn about the legends, honor their legacy, or simply enjoy the sounds of Kansas City jazz. Our mission is to celebrate and exhibit the experience of jazz as an original American art form through research, exhibition, education and performance at one of the country's greatest jazz crossroads - 18th & Vine. 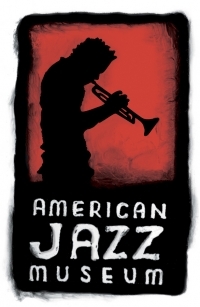 As the only museum in the world solely focused on the preservation, exhibition and advancement of jazz, the American Jazz Museum is dedicated to public service and collaborative efforts to expand the influence, awareness and appreciation of jazz within Kansas City and to audiences worldwide.